The famed investor will visit Pyongyang at Kim Jong-un’s invitation. 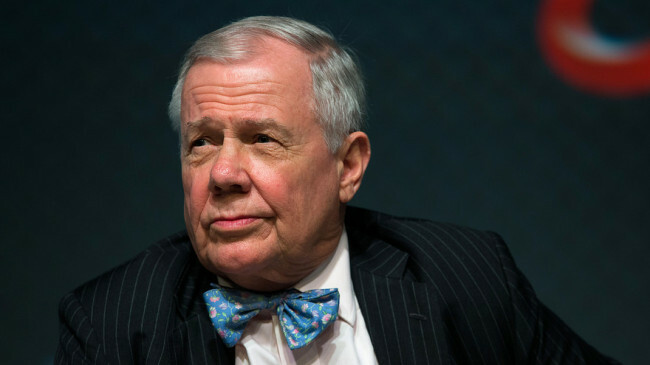 Jim Rogers, a renowned investor and chairman of Rogers Holdings, plans to visit North Korea next month at the invitation of Chairman Kim Jong-un, according to sources Tuesday. The Singapore-based investor, who once said he would “put all of my money” in North Korea if he could, received the US government’s approval for the trip with his wife. The billionaire has touted the impoverished country with a gross domestic product per capita of $1,800 as an attractive investment destination for five years, even before the thawing of inter-Korean relations last year. “Important opportunities are coming in the Korean Peninsula, and North Korea is going to be the most exciting country in the world for the next decade or two,” Rogers said on a South Korean TV show that aired Jan. 23. Pyongyang’s invitation comes as the North Korean leader is due to meet US President Donald Trump for their second summit in Hanoi, Vietnam, from Feb. 27-28. Analysts here have raised speculation that the move indicates Pyongyang’s demand for Washington to lift economic sanctions in return for its efforts toward removing the country’s nuclear program. Following the North’s series of nuclear and missile tests in 2017, the Trump administration has led the drive at the United Nations to impose tough sanctions on the country. Rogers’ optimism toward the communist state stems from his investment experience in China. “North Korea today is where China was in 1981. North Korea is a copy. He has been opening up the country just as Deng Xiaoping did,” he said on the show. Rogers said the two Koreas would have “a great future” when South Korea’s capital, management and capabilities meet the natural resources and cheap, educated labor in the North. In December, Rogers was appointed as an outside director of Ananti, the only South Korean resort operator in the North. Ananti has built and managed golf courses and condominiums across the Korean Peninsula, including one located in the joint tourist complex at Kumgangsan in North Korea’s Kangwon Province, called Kumgang Ananti Golf and Spa Resort. Other global companies are also paying keen attention to the resource-rich North Korea, including international producer and distributor of agricultural products Cargill, which conducted a business trip to North Korea in October last year. The company was said to be ready to sign a deal with the North as soon as sanctions are lifted, as the food shortage issue is one of North Korea’s top priorities.